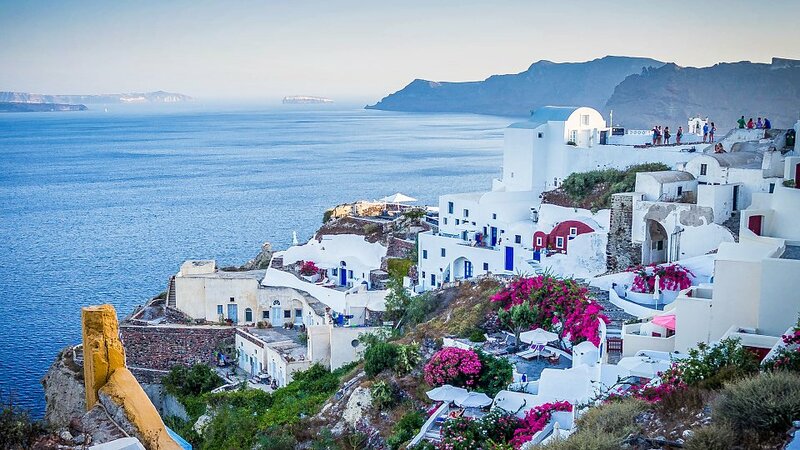 Departing on October 18, 2019 | Join EO along with guest speaker David Faust for this exciting cruise to Greece and Turkey aboard the luxurious Azamara Journey. The cruise sails roundtrip from Athens, Greece with visits to Mykonos, Santorini, Patmos, Rhodes and more! Enhance your journey by adding the Athens & Corinth Post-Tour. Pricing starts at $4,498* from New York. Arrive in Athens. Time permitting, take a panoramic tour before embarking on the luxurious Azamara Journey. Have a delightful day exploring the exceptional beauty and culture of the Greek island of Mykonos with its lovely bays and beaches, distinctive whitewashed structures, and cobblestone streets. Shore excursions are booked through Azamara. Drive to Ephesus, the marble city where Paul spent three years of his ministry. 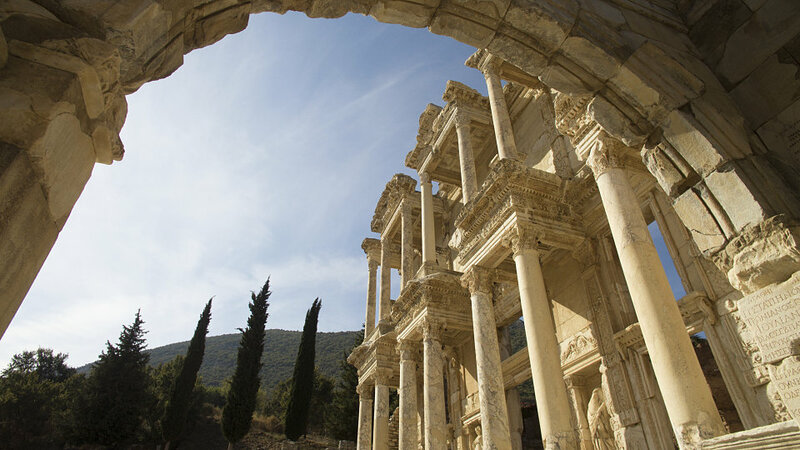 The ruins of Ephesus have been restored much like the city was in Paul’s time. You will visit the ancient Agora and view the Great Theater. View the terrace houses, also known as “the house of the rich,” which give a true impression of the ancient lifestyle. Also, visit the Ephesus Archaeological Museum for a look at some of Ephesus’ most prized artifacts. You will set sail for the Island of Patmos. Visit the Monastery of St. John, high on the mountain overlooking the entire island. Walk down to the Grotto of the Apocalypse and the caves where the exiled Apostle John lived, and inspired by God, wrote the book of Revelation as well as other letters to the early church. Afterwards enjoy free time to explore the town. Paul visited Rhodes briefly on his way to Jerusalem at the end of his third missionary journey. Over 1,200 years later when Jerusalem fell during the Crusades, the Knights of St. John fled to the island of Rhodes, where they ruled for two centuries. Suleiman the Magnificent finally captured the island but lost 50,000 men in the campaign. The castles and old town built by the knights are still impressive today. Known for having “three faces to the sea”, this port on Crete’s east coast seamlessly blends the charm of a small fishing village with the glamor of a chic resort town. The perfect base for exploring smaller islands around Crete, it's easy to create your own personal paradise in Agios Nikolaos. Shore excursions are booked through Azamara. Delve into a Cretan cultural experience that includes guided sightseeing at Lake Kournas, the Arkadi Monastery and the bustling town of Rethymnon. First stop is at Lake Kournas, where you'll savor a delicious treat of traditional cheese pie with honey, among white sands and ancient olive trees. Next up is a tour of the fortress-like monastery, whose history dates to Byzantine times. Finish with a stroll through distinctively ancient yet distinctly modern Rethymnon. Explore Santorini, one of the most beautiful of the Greek islands. Its picturesque whitewashed villages with brilliant blue domes dot the cliffs above the Aegean Sea. The island itself perches on the edges of a volcano whose eruption 3,500 years ago is thought to have led to the collapse of the Minoan civilization. 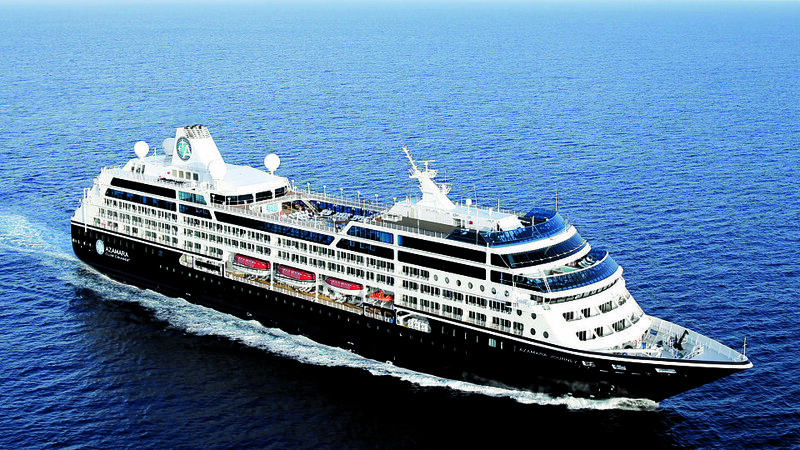 Shore excursions are booked through Azamara. Athens, Greece to USA or continue on the exciting Athens & Corinth Post-Tour! Disembark the ship and travel to Corinth (Acts 18: 1-18) and visit the Archaeological Museum, the Market Place, the Captives Façade, and the Asklepion. Among the ruins, we can stand on the Bema where Paul defended the gospel. From a distance, view Acrocorinth. 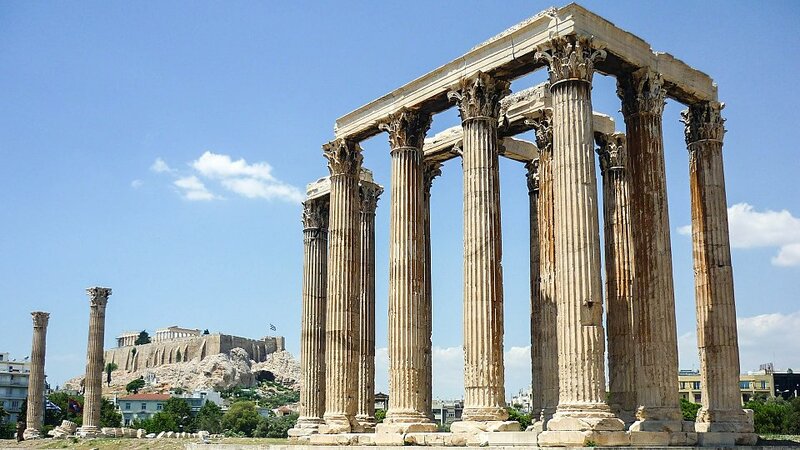 Visit the architectural splendors of ancient Athens. Journey to the ancient Acropolis where you will see the Propylaea, the Parthenon and the Erectheum. View Mars Hill where Paul preached the gospel (Acts 17: 15-34). You will also view the Olympic Stadium. Spend tonight at a hotel in Athens.